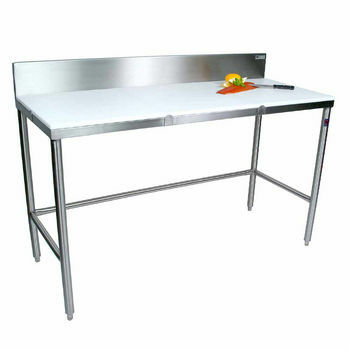 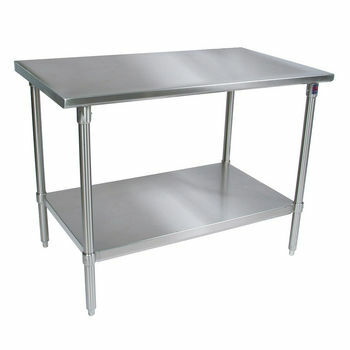 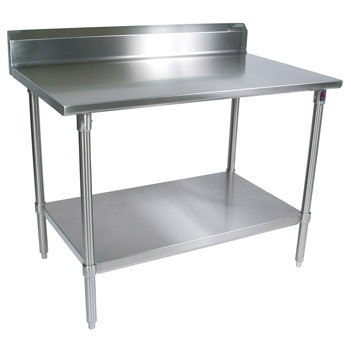 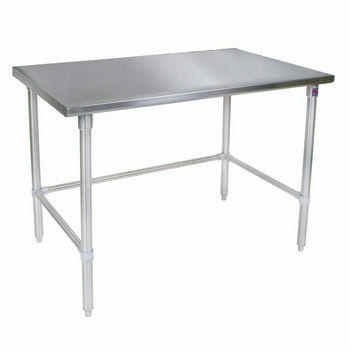 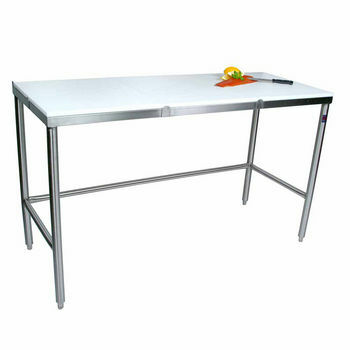 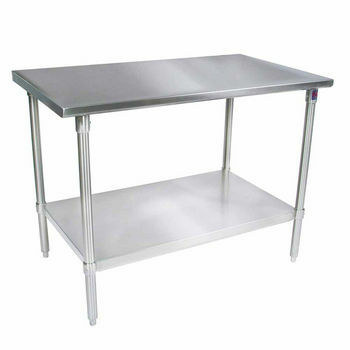 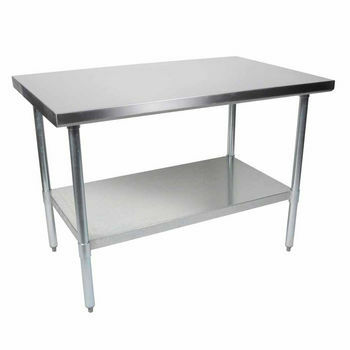 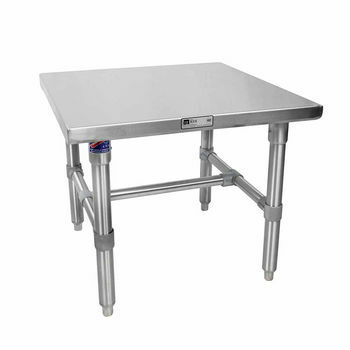 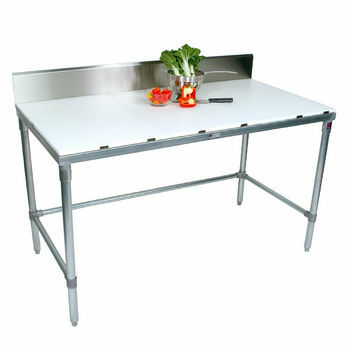 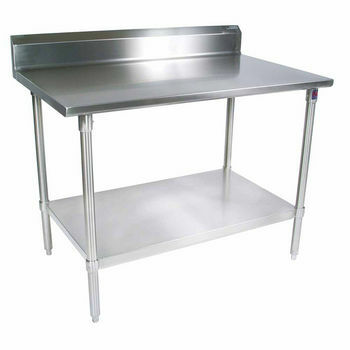 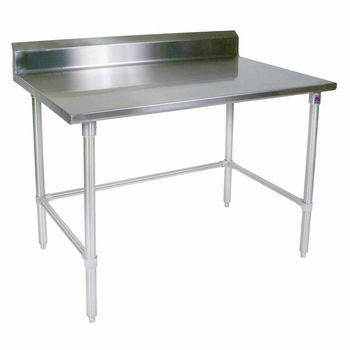 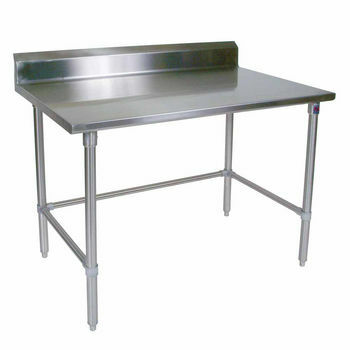 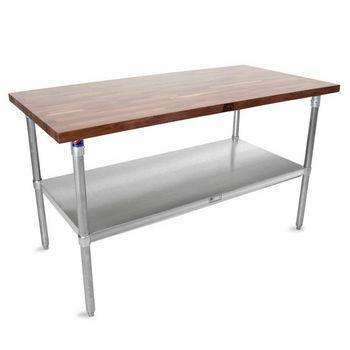 Made entirely of high-grade #300 stainless steel or 100% pre-galvanized steel, these John Boos Table Tailors Stallion Work Tables are durable and strong enough for any task. 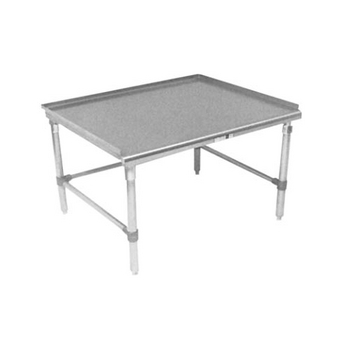 Ideal for supermarkets, delicatessens, restaurants and other types of food preparation, the tables are designed to be versatile for maximum efficiency in any setting. 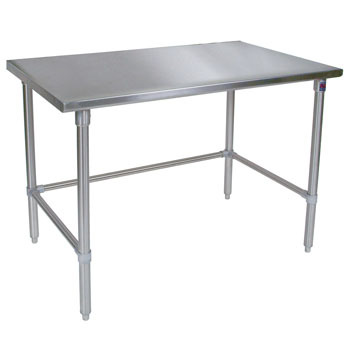 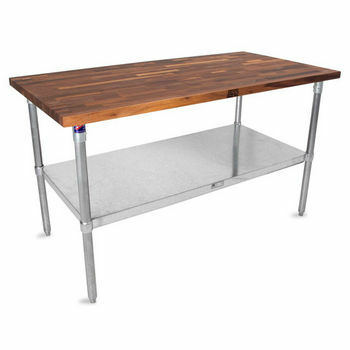 The tables are available in several combinations of stainless steel and galvanized steel, with or without a shelf or with a 6" backsplash. 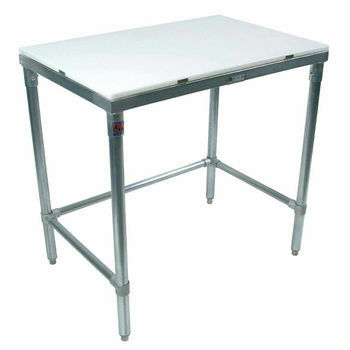 The 1-1/2" Stallion edges ensure safety. 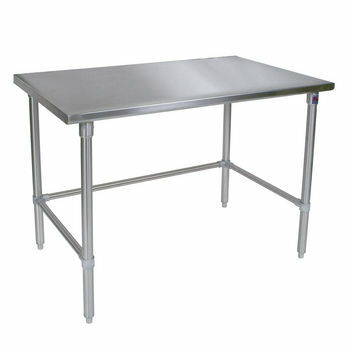 The work tables come in widths from 36" to 120". 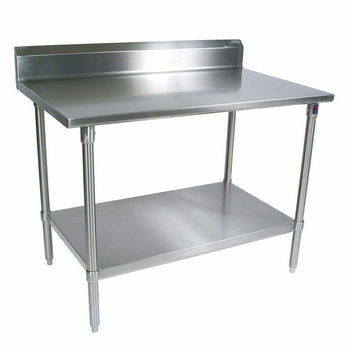 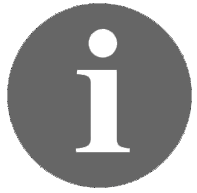 Choose from a selection of accessories, including galvanized, stainless and plastic finished drawers, keyed locks and stainless steel, galvanized steel or 5" diameter heavy-duty shelves.